Please CLICK HERE for general event information on what to expect, who is invited, day 1 & day 2 basics, about our featured charity and our hashtag photo contest. Below is The Mingle 2019 event details. The Mingle Day 1 has been hosted at Mari's Cucina and Social House in Alpharetta/Johns Creek ince the beginning. Carrie and Adam are owners, Carrie is the Vice President of Racheal's Rest, Adam is a board member and head chef at Mari's. They are an amazing power couple and we love them dearly! “Stand your ground” isn't a magic phrase that transforms a use of force into a lawful use of force. This 1 hour block will touch the surface on exploring the dynamics of deadly force encounters to include the reasonable man doctrine, the lawful use of force, interacting with responding officers, and more. You WILL received a SIGNED Certificate of Participation to add to your Continuing Education file! Special THANK YOU to Chief Deputy Lee Weems of First Person Safety. Lee is one of the best! He is a top tier instructor and presenter. The information he provides is 100% accurate, usable and valuable. He is a dear friend and trusted peer. Special THANK YOU to Marty Hayes and the team over at Armed Citizens' Legal Defense Network for sponsoring Lee Weem's presentation. If you would like to JOIN their network then please reach out to me FIRST and I will provide a coupon code for a DISCOUNT! Special THANK YOU to all the outstanding sponsors that make this event happen! Special THANK YOU to Chris North! He is our photographer/videographer for the 2nd year in a row. 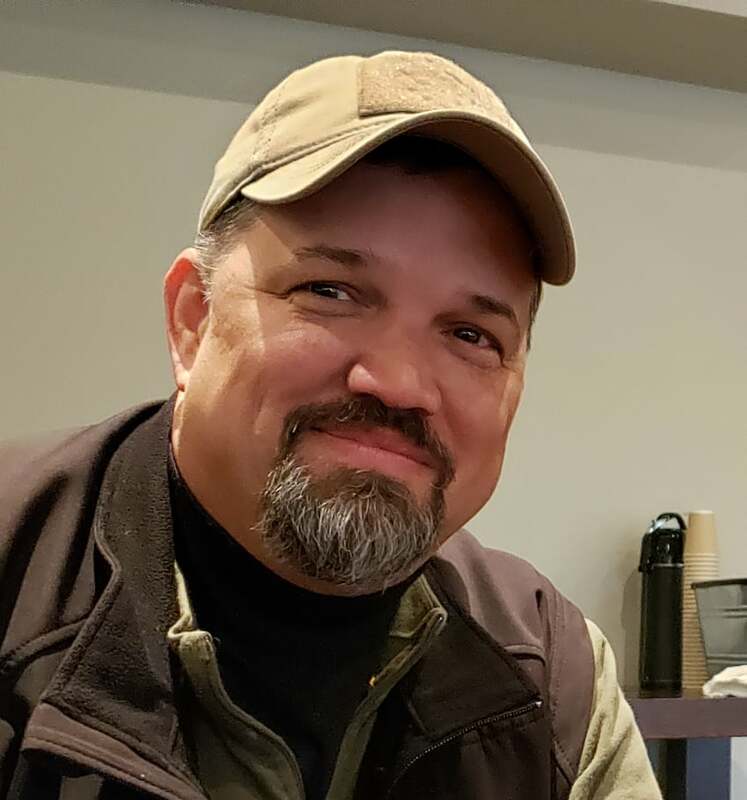 Chris competes in GADPA, he trains with professional instructors, he is a fan of practice and works very hard to be a marksman in competition and self defense. THANK YOU Chris for volunteering your time for the full weekend! Special THANK YOU to all of our Day 1 and Day 2 volunteers. Without you THIS EVENT WOULD NOT HAPPEN! 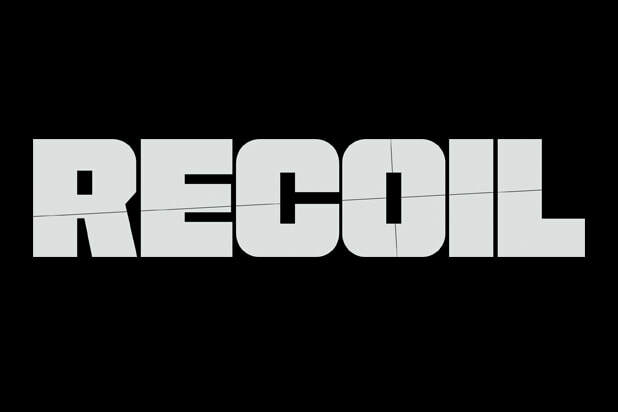 The Mingle's 2019 featured MEDIA is RECOIL - Firearm Lifestyle Magazine. Candice, an editor, will be attending both days to interview, experience, train and enjoy The Mingle and all it has to offer. Side Note: The Mingle 2020 will be scheduled on Saturday, May 16th and Sunday, May 17th. Save the date! WHAT CAN I EXPECT? 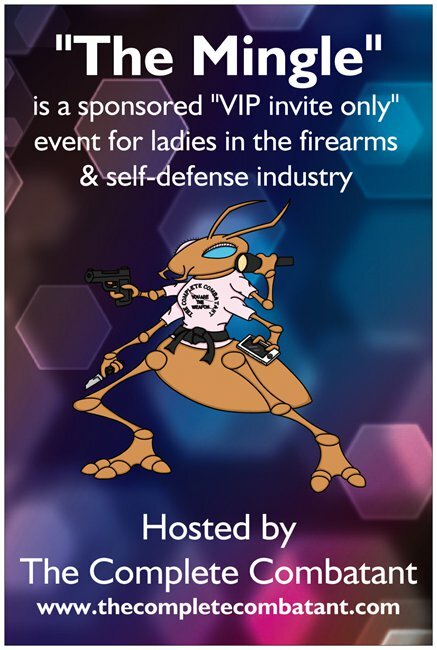 "The Mingle" is an INVITE ONLY VIP event for women in the firearms/self defense industry. This is a 1 day and/or 2 day sponsored women's meet & mingle that can include a guest speaker, DOOR PRIZES, SWAG BAGS, a full day at the range with "blocks" of firearms training with top tier instructors at our range in Dahlonega, GA ! Please CLICK ON the event year that applies to "your Mingle's" details as each year is different. WHO IS INVITED? We will be inviting females (local or otherwise) that work in the firearms industry, biz owners (managers and team members), club presidents and board members, professional shooters, tactical and shooting instructors, ladies of influence in all aspects of the self defense/martial arts, and in the biz professionals that are 2nd Amendment political supporters. Please make note that "ladies of influence in all aspects of the self defense/martial arts" has a very large range...IDPA? USPSA? GADPA? NRA? GCO? OTHER WAYS YOU SUPPORT? LET ME KNOW! WANT TO COME? Scroll to the bottom of the page and fill out the "ADD ME TO YOUR INVITE LIST". Once received, I will approve the request and add you to my invite list. I usually start sending out official event invites mid-January and will continue to do so until we are FULL! The Complete Combatant's Mingle events WILL NOT be open to the public and the guest guidelines would have to be met in order to attend. Please contact me if you are not sure if you would qualify as "in the industry". PAST INDUSTRY GUESTS: I still have your email addresses so you will be automatically invited as you are grandfathered in! You will now register to attend through Eventbrite. The Mingle is still by invitation-only so you will receive an email with an invite to attend. NEW INDUSTRY GUESTS: Scroll down to the bottom of this page and fill out the "INVITE ME" section (please add your "industry involvement). Once approved, you will receive an Eventbrite invite from me and The Complete Combatant. There are only 65 spots available on Saturday and 24 spots available on Sunday so we will use the "first come first serve" system. We WILL have a waiting list so please make note that last minute NON-EMERGENCY cancellations will be frowned upon and any NO SHOWS will not be invited back. Day 1 $25 EACH = You can opt to bring 1 or 2 guests (see below for requirements) to Day 1. Please pay for them when you register if possible. If you are still working on who to bring, and need to register them at a later date, then please contact me BEFORE you go back and register them as I need to confirm our Day 1 head count to make sure we have room for you to add them. If you are a firearms instructor or an experienced shooter then you are qualified to attend Day 2. You will register YOURSELF and your GUEST for Day 2 here as well. Day 2 $150 EACH = You are $150. You can opt to bring 1 or 2 (experienced shooters = embraces the 4 lifestyle safety rules, has taken a professional live fire class and is familiar with expectations on the line) guests to Day 2 at $150 each. Please pay for them when you register if possible. If you are still working on who to bring, and need to register them at a later date, then please contact me BEFORE you go back and register them as I need to confirm our Day 2 head count to make sure we have room for you to add them. After I receive your registration I will contact you via email to confirm the information you provided, names of your guests, your wine preferences and if you registered for Day 2, I will confirm that as well. Day 1 and Day 2 confirmation email will usually be sent within 48 hours of registration. You will receive 2 confirmations about 1 week prior to The Mingle. Saturday, May 18th, 2019 is 100% SPONSORED and FREE for our professional ladies in the industry . There is a $25 non-refundable fee per "guest of a guest"
Please arrive 11:30am to receive your name tag lanyard, wine vouchers, raffle ticket and to grab a seat! Doors will close at 12noon so don't be late! "HELLO HELLO" from me to you! I missed the opportunity to say HELLO last year to many ladies so THAT WILL NOT HAPPEN AGAIN! I will be at the door from 11:30-12:00 to say "HELLO HELLO". 12:15-1:15pm: Guest speaker is Chief Deputy Lee Weems of First Person Safety and the topic is USE OF DEADLY FORCE. 1:15-3:30pm: Wine, food and NETWORKING! The Mingle Day 1 is officially over at 4pm so head out to see some sights, have a great dinner and enjoy some of the night life that North GA has to offer! GLOCK has committed to donating a Pistol Donation Letter for the 3rd year in a ROW!! Raffle Details HERE. SOLD OUT! Sunday, May 19th, 2019 2 LIVE FIRE blocks including decisional drill as a qual for FIREARMS INSTRUCTORS and EXPERIENCED STUDENTS ONLY (experienced shooters = embraces the 4 lifestyle safety rules, has taken a professional live fire class and is familiar with expectations on the line) . Day 2 is 100% sponsored by HK USA!!! That means Day 2 PERKS PERKS PERKS! Please click on Day 2 for details about the PISTOL GIVE AWAY and MORE! CLICK HERE for Day 2 LIVE FIRE block details on our instructors, gear list, what to expect, location, requirements for each block and MORE. "NATIONWIDE TRAINING" RAFFLE: Will be OPEN in March 1st, 2019! Last year we reached out to friends and top trainers in the firearms/self defense industry from all across the nation and asked if they would donate "a spot" in their classes for us to RAFFLE OFF for the sole purpose of proceeds benefiting the event and Racheal's Rest. Guess what, everyone JUMPED at the chance to support both The Mingle and Racheal's Rest! The Mingle 2018 raised $5725!!! The Complete Combatant's founders Brian and Shelley Hill are very involved with Racheal's Rest. Shelley Hill is the one of the founders and Brian Hill is a past Board Member of Racheal's Rest. Racheal's Rest is a nonprofit organization that offers private counseling, workshops and five-day restorative retreat programs designed to address the physical, emotional and spiritual needs of survivors. They exist to help women and children who experienced sexual abuse or acts of violence regain their balance in life. We are also having a Concealed Carry Purse RAFFLE! The proceeds will be split between Racheals' Rest and The Mingle 2020. This raffle will be held on Day 1 of The Mingle. We have several beautiful brand NEW conceal carry purses donated from Eye on the Target Radio, Hiding Hilda, Cyndee's Conceal Carry and Trigger Time! These pocket books range from $63 - $375 each! Currently we have 5 purses with one or 2 more coming! I will post photos of them on The Mingle's 2019 Facebook Event once we have received them all. If by chance a purse has NO tickets in it's basket then I will just add it to the regular DOOR PRIZES with a "random winner"
You will go home with your prize! "The Mingle" HASHTAG Photo Contest: TAKE PHOTOS on the way TO the event, DURING the event and on the way HOME from the event and upload them to social media using #TheMingle2019 by Sunday 8pm. We will pick our favorite #photo on Monday and contact the WINNER via email and social media. We will mail your PRIZE to you that week! SPONSORSHIPS can be sent via check (made out to Fusion MMA) by phone via credit card at 678-290-0282 or via PayPal.me. Please write TheMingle May 2019 in the note/memo section of your check or PayPal.me.